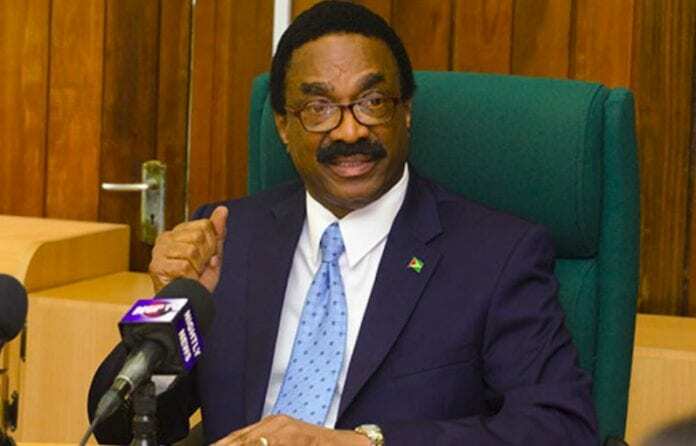 GEORGETOWN, Guyana, CMC – Attorney General Basil Williams Friday welcomed the Court of Appeal ruling that the motion of no confidence passed in the Guyana National assembly on December 21 last year was invalid. Meanwhile supporters of the main opposition People’s progressive Party (PPP) staged demonstrations across sections of the country in their quest for fresh regional and general elections. “The ruling of the Court today is business as usual for the government,” Williams told reporters as he emerged from the Court of Appeal building after the three-member panel had been split on their ruling by a two to one margin. Asked whether he would advise President David Granger on setting a date for the election, Williams replied “no, I really can’t get into a discussion….between myself and the President because I don’t want to pre-empt anything”. Williams dismissed arguments by Opposition Leader Bharrat Jagdeo that the government was illegal, given that it had been 90 days since the motion had been passed in the National Assembly and that legislators had not voted to extend the deadline for when fresh general elections had to be called in keeping with the provisions of the Guyana Constitution when a vote of no confidence is passed. “What’s the sense in dealing with that,” he told reporters, adding “I am saying that because of the Court’s decision. The Court’s decision now prevails,” he said, adding that the government is legal. But former attorney general, Anil Nandlall, said while he was disappointed with the ruling, the matter would now go before the Trinidad-based Caribbean Court of Appeal (CCJ), which is the country’s highest court. “Understandably I am disappointed for we felt that 33 has always constituted a majority in our National Assembly since independence and that belief of ours supported by reality has been turned upside down. “So whilst we have won on all the issues of law as you would have heard we have ,lost the maths and I never thought this to be a case of maths, I thought this was a case of law,” he told reporters. Nandall said it was always the intention of either party in the appeal to take the matter before the CCJ “and it will go there because this is an important matter. “Unfortunately one issue, just a singular issue has to be determined now. So this is a case that can e heard within a matter of days,” he added. Jagdeo had on December 21, last year, successfully tabled the motion of no confidence against the three and a half year old coalition government after he had received the support of then government legislator, Charrandas Persaud. The government later appealed the High Court ruling that the motion was valid and had refused to issue a conservatory order stopping the countdown to the 90 day period during which the fresh regional and general election had to be held following the passage of a motion of no confidence. Williams told reporters that he was grateful for the results, saying “it was a team effort and a lot of work had been put into it. “We really stretched the extremities of the law in this area and we are happy with the results. The proper principle was applied to the computation,” he said, adding “we always believed that that was the right computation.